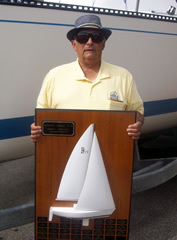 Spike Boston, second-generation Sailmaker and national champion owns Doyle Boston Sailmakers. Spike’s father began making sails in Mt. Clemens Michigan in the early 1920’s. Spike has sailed dinghy as well as large offshore boats. He has several national titles for One Design as well as M.O.R.C to his credit. He has 13 past S2 7.9 International Championship's to his credit. Spike has more than 50 years of Sailmaking experience. Spike is also the lead sail designer for the Doyle Boston team. Tac Boston, a Doyle Boston veteran and world champion is a third generation sailmaker. He brings an impressive level of experience in all forms of sailing from dinghies to Maxi's. From 1992 to 1998 Tac served as production manager at Doyle Boston. In 1998, Tac joined the RX Sight Maxi Racing Team as on-board Sailmaker. The RX Sight was a Swedish Maxi that sailed in every major race in the world. Tac has raced in France, Italy, Spain and across North America.. 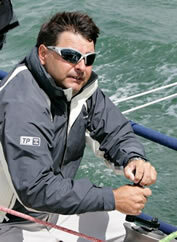 In 2001 Tac became a world champion in the Sonar class, sailing with Mark Ploch. Tac's sailing expertise extends into the sail loft where he has designed and built sails for leading racing and cruising boats. Brad Boston has over seventeen years of Sailmaking experience. He was a member of the Canadian National Sailing Team and represented Canada at the 1996 and 2000 Olympics in the Soling Class. Brad has traveled around the World representing Canada. He has several national titles for One Design as well as M.O.R.C. and PHRF to his credit. Brad has vast sailing experience in One Design & Offshore Racing boats and is the current Viper 640 back to back North American Champion, T-10 Class North American Champ and also winner of the Ultimate 20 North American Championships. He has won the Chicago Mackinac race in the Farr 40 class, won the J120 and S2 7.9 North American's. He is a sailor with a world of experience.